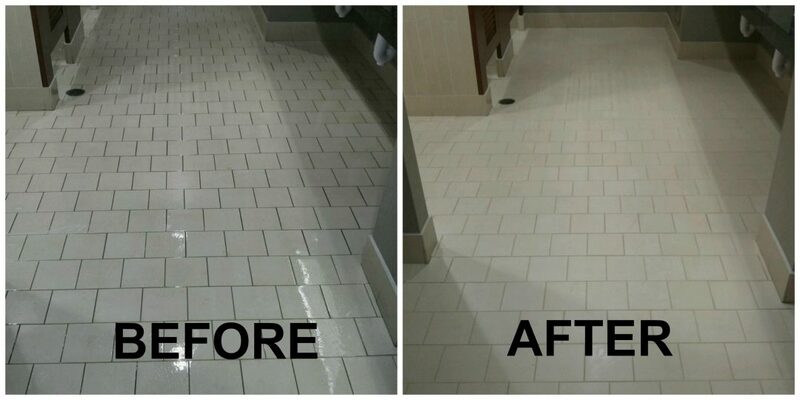 Tile and grout cleaning and sealing in one of our commercial facilities in Ballantyne. Commercial restrooms take a lot of abuse over time and is recommended you get them cleaned at least every 6 months. To say the least, they were in need of our services. Utilizing our high quality clean agents, we were able to bring out their shine again!